The Office for Budget Responsibility (OBR) as revised its forecast for house price growth in the UK in the next five years from 27% to 30.8%. According to the OBR, growth of 8.6% is expected in 2014/2015, 7.4% in 2015/2016, 4.3% in 2016/2017, 3.7% in 2017/2018 and 3.7% again in 2018/2019. It says in its latest forecast report that by the end of the forecast period, house prices are expected to be 0.5% below their pre-crisis peak in real terms and the house price to income ratio to be 2.3% below its pre-crisis peak. The OBR also expects transaction volumes will rise at a faster pace than originally forecast over the coming five years. The independent fiscal body estimates that housing transactions in 2014/2015 will be 1.28 million, some 6% higher than it forecast in December. According to Grainne Gilmore, head of UK Residential Research at Knight Frank, this bump up in the forecasts for price growth and activity, especially over the next year, reflects the additional stimulus in the market via Government policies as well as the underpinning of record low interest rates. She also pointed out that several different measures have been announced to help boost housing supply. The Chancellor of the Exchequer George Osborne had already announced a £6 billion four year extension to the Help to Buy Equity loan, which has been welcomed by house builders. ‘The extra longevity of the support to the market will allow house builders to commit to achieving planning on and building out much larger schemes, something that is crucial to deliver the step up in housing supply that is desperately needed,’ she added. Also, Osborne’s announcements on additional funding support for smaller developers through the £500 million Builders Finance Fund is also welcome, as smaller developers are still being hit by an effective funding crunch, finding it hard to secure funding or finding that they are being charged higher premiums for loans. The consultation on Right to Build measures to encourage self build could also help boost the numbers of people developing their own homes if they come to fruition. Self build accounts for just 8% of all new build development in the UK, compared to 40% in the US and an even higher proportion in Europe. Opening up the Equity Loan to mortgage borrowers who are building their own home will also be welcomed. The Federation of Master Builders (FMB) said the announcements are a major boost for housing supply which is so lacking at present. ‘Access to finance is a major stumbling block for viable small house builders so this government intervention is much needed as many major banks are still reluctant to lend for small residential developments. This additional support will provide the necessary finance to small house builders and help increase the overall supply of new housing,’ said Brian Berry, chief executive of the FMB. 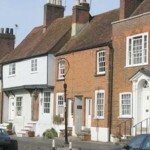 Michael Holmes, spokesperson for The Homebuilding, Renovating and Home Improvement Shows and editor in chief of Homebuilding and Renovating magazine, said that the allocation of a £150 million to develop a scheme to give custom builders a right to a plot from councils, will be welcomed by those who want to build an individually designed home but cannot find a building plot.